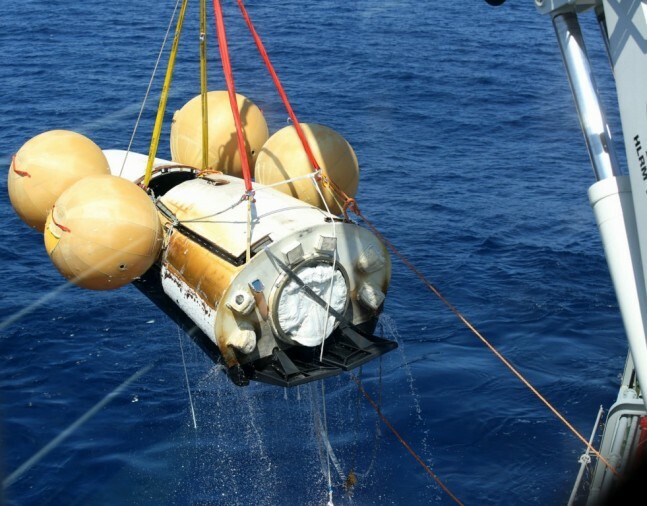 On Feb. 11, the European Space Agency’s (ESA) Intermediate eXperimental Vehicle (IXV), atmospheric reentry demonstrator, successfully completed its first test flight, ending with a splashdown in the Pacific Ocean. The spacecraft traveled to an altitude of approximately 250 miles and left one aerospace company in particular bursting with pride over the very successful test. “The success of this mission is a source of great pride for us. Thanks to the data collected during the flight, we are paving the way for the development of new-generation reentry vehicles in Europe,” Sandrine Bielecki, Thales Alenia Space spokesperson told astrowatch.net. Thales Alenia Space (TAS ), a French-Italian joint venture, was the prime contractor for the IXV mission, heading up a consortium of partners from European industry, research centers and academia. Italy’s participation in the project was strongly supported by the Italian Space Agency (ASI). “With this mission, France and Europe confirm their excellence in space exploration, one of the major challenges facing us in the years ahead,” said Geneviève Fioraso, French Minister of Higher Education and Research. The company is Europe’s largest satellite manufacturer and one of the main suppliers to the International Space Station (ISS). TAS built the Multi-Purpose Logistics Modules, which was used to transport cargo inside the Space Shuttle orbiters. They also built several modules for the ISS. IXV lifted off at 8:40 a.m. EST (13:40 GMT) from Europe’s Spaceport in Kourou, French Guiana, atop a Vega rocket as part of the VV04 mission. It separated from Vega at an altitude of 211 miles (340 km) and continued up to 256 miles (412 km). 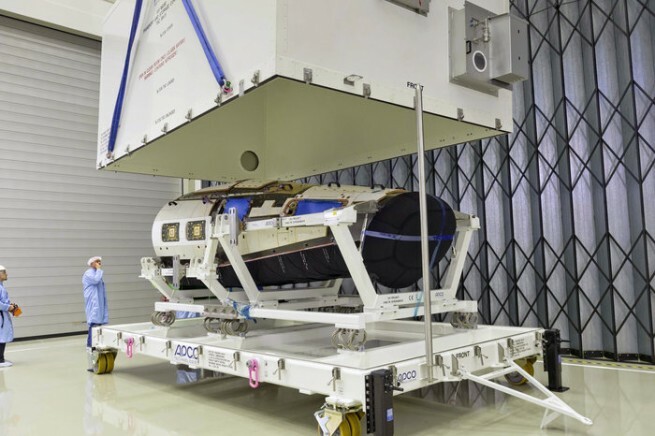 Then, IXV began the reentry phase, during which critical data was acquired via the instruments on the vehicle. The IXV reached a speed during its atmospheric reentry of approximately 4.7 miles/sec (7.5 km/sec) at an altitude of 74 miles (120 km), typical of a reentry from low-Earth orbit (LEO), similar to those of the Space Shuttle. “During Flight Phase, the IXV worked perfectly, as the ground segment did, implementing the whole flight program in line with the commanded maneuvers and trajectory prediction,” Bielecki said. As it descended, the five-meter-long, two-ton craft maneuvered to decelerate from hypersonic to supersonic speed. The entry speed of 4.7 miles/sec (7.5 km/s) at an altitude of 74 miles (120 km) created the same conditions as those for a vehicle returning from LEO. At the Advanced Logistics Technology Engineering Center (ALTEC) Mission Control Center, located in Turin, Italy, specialized technicians followed the mission in real time, coordinating the ground stations during IXV’s flight and the naval recovery operations after splashdown. Thales Alenia Space is working on an array of space exploration efforts. The company is also engaged in developing numerous probes that will study other planets in our solar system. 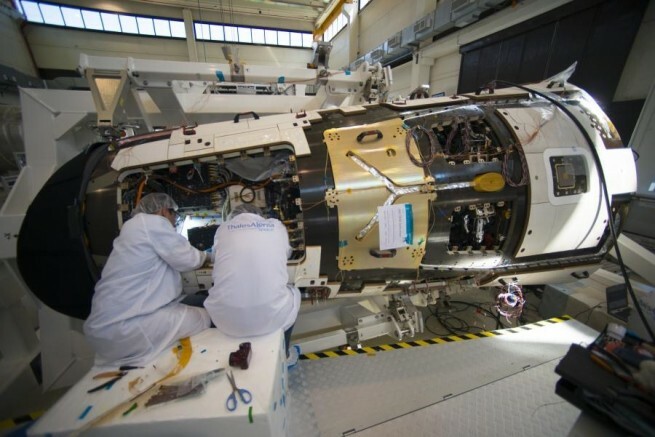 The most significant is the next Martian spacecraft made in Europe – ExoMars. The mission, being built in partnership with Russia, is a major challenge for the French-Italian company. The company is participating in other ESA projects: Euclid, which will search for dark energy and dark matter exploration; Bepi Colombo, which will explore the planet Mercury; the Service Module of the Orion Crew Transportation System; and is also involved with the current operations on the International Space Station.